Oriental coasts of Greek Ionian Islands from Levkas to Zakinthos define a “inner sea” with the mainland. 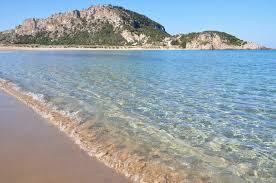 Sea conditions in this lagoon are optimally for sailing from april to october: gentle to moderate breeze with calm sea. All ideal premises for an enthusiastic sailing cruise. The mountains elevations offer shield to gorgeous bays with such a clear water, that the boats seems to be suspended in the air. A vacation in this archipeg on a sailing catamaran is certainly a gratifying and relaxing choise; plenity sunny days and nights on anchor in spectacular natural harbours. 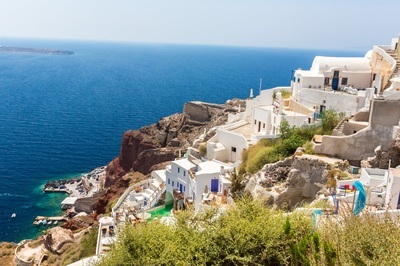 These coasts are rich of history: from Homeric times through Roman and Byzanthine, Saracenes settlements and fortresses of Venetian Republic. Due to it’s geographic strategic position, this area has been always an important trade passage from Europe to Asia, a land of conquest and famous naval battles like Lepanto (where Turks have been destructively beaten by the Venetians), or Azio (Ottaviano Augusto / Marco Antonio and Cleopatra). Nature, clear water, sun, history, archeology and further more gastronomy and greek traditions will offer an unforgettable cruising experience on “Parbleu” catamaran. 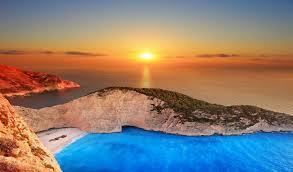 Starting from Corfu (Kerkyra island), easy to reach, due to the international airport, directly connected with the most important European capitals, we cruise to wonderful beaches in the south.! Paxos and Antipaxos are two pleasant stops over in between Corfu and Levkas with its magnificent moorings and the pittoresque Porto Gaios. On the mainland it’s interesting to visit Sivota and parka, two historic villages now popular destinations due to their special night atmospheres at the typical restaurants. Levkas wellcomes the sailors coming from north with its Castle of Santa Maura, there controls a strait passage, where a turning bridge allowed to pass through every full hour. Here it starts the “inner sea” we have spoken before. All the most protected and beautiful bays are in this lagoon: Meganisi, Skorpios (once private island of Onassi’s family), Itaka, Kefalonia and Zakhintos. It should not be missed the bay of Laganas, where the mediterranean sea-turtles come to lay eggs; but the most known beach of Zakhintos, on the west coast, is Shipwreck Bay, the most photographed landscape of Greece. The “Jump of Saffo” is an other world-renowned beach. Further more plenty panoramic views: Byzantine, Norman, Saracen and Venetian fortresses. Green woods that join closely the sea. Sleepy villages during the day, but buzzy from sunset until late in the night. Orthodox monasteries built in very inaccessible places (Metèore area in the hinterland) and archaeologic finds. Grecian people is very kind and hospitable. 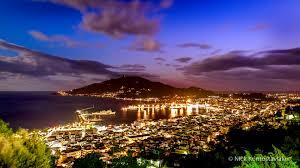 In the tavernas and restaurants on the beaches during the night all together dance “sirtaky”. A fresh glass of “retsina”, an octopus dish with a greek salad, and finally an iced “ouzo” to close a long sunny day.